Lama Sangye Mönlam has been enthroned as Lama of Yeshe Sal Ling by Yongdzin Tendzin Namdak Rinpoche and Khenpo Tenpa Yungdrung Rinpoche in a ceremony at Triten Norbutse monastery on the auspicious date -- Tonpa Shenrab day -- of February 10, 2017. The ceremony was solemn and digified and very joyful at the same time. Needless to say, everybody in Yeshe Sal Ling is overjoyed by the news. 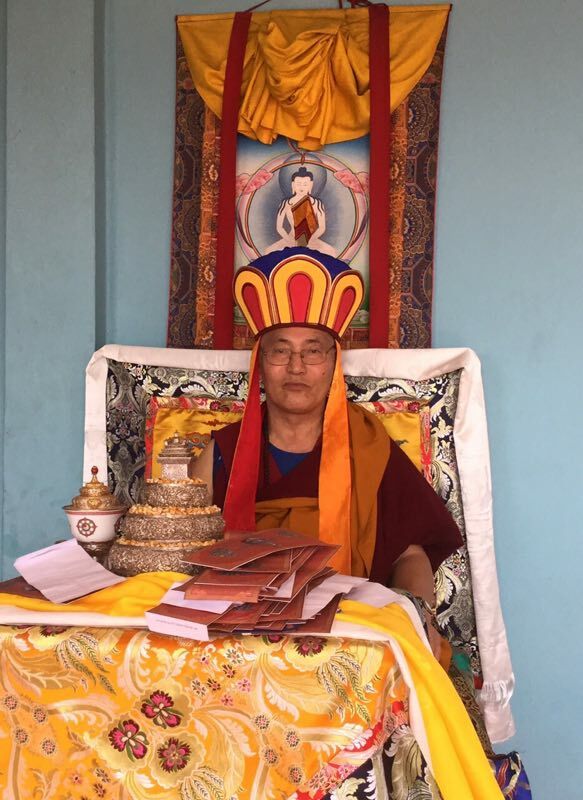 We feel very, very fortunate to have, as Lama of Yeshe Sal Ling, Lama Sangye Mönlam, who is a highly qualified teacher of Dzogchen, Tantra and their auxiliary practices such as Tsa Lung and Trulkhor, and of the rituals of Bön and their ritual music, as well as being a wise and kind-hearted advisor. Altogether, 2593 Euro were raised and the sponsors' names appeared on Triten Norbutse's blackboard (where the details of ongoing ceremonies are announced). Yeshe Sal Ling is a Yungdrung Bön center in St. Radegund bei Graz, Austria, affiliated with Triten Norbutse monastery.